My Bread Basket Overfloweth! Seriously, I am still in awe of all of the amazing breads that everybody sent in for Bread Baking Day this month. When trying to decide on a theme, I went with "corn" because I knew that I would be dazzled by new options and possibilities. Corn has gotten a bad rap over the past few years. Come on people. It's not corn's fault...it's our fault. How 'bout we go back to using it responsibly. It's now our job to send the message to the maker's of processed foods and hfcs. We're giving corn back it's pride! Okay. I'm not going to get into the politics of it all. But that's the condensed version of my take on things. And honestly, I was NOT disappointed. Blown away is more like it. Our extremely large basket is full of everything from quick breads to yeast breads...from muffins to rolls...from flat breads to loaves...from breadsticks to buns...from the simple to the extravagant. I think everybody did a killer job of putting a little bounce back in corn's step. To everybody who took a chance this month and joined me in the "CORN"y challenge...thank you...Everything looks fantastic! I have so many new things bookmarked that I'll probably never get a chance to make them all. But I can try. So, without further ado, please pull up a seat and feast your eyes on this amazing assortment of "CORN"y Breads! 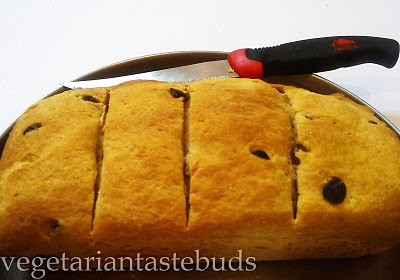 Raji from Vegetarian Tastebuds: My Diary of Good Food (Dubai, UAE) uses yellow cornmeal to cook up some tempting Raisins and Cornmeal Bread. 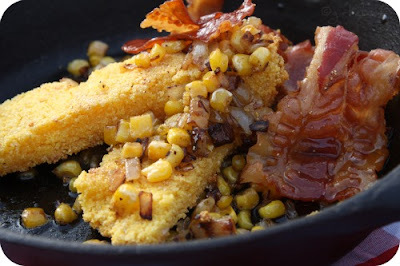 I knew I'd (Heather from girlichef...Indiana, USA) be making at least one corny bread without yeast...which came in the form of plain and simple Cornbread dressed up with bacon, onions, corn, black pepper, and maple syrup. Yellow cornmeal played the part in this loaf. Elra from Elra's Baking (California, USA) embraced this month's theme as a chance to bake up her first loaf of gorgeous Whole Grain Anadama Bread! Yum, one of my favorites. 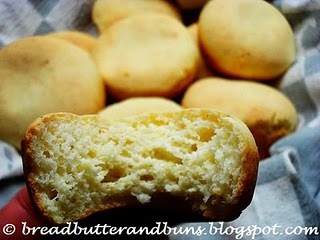 Nicole from Bread, Butter, and Buns (Idaho, USA) brings some Columbian flair with her fluffy basket full of Pandebonos. These lovely rolls contain both white corn flour and yellow cornmeal...and queso fresco, one of my favorite fresh cheeses. 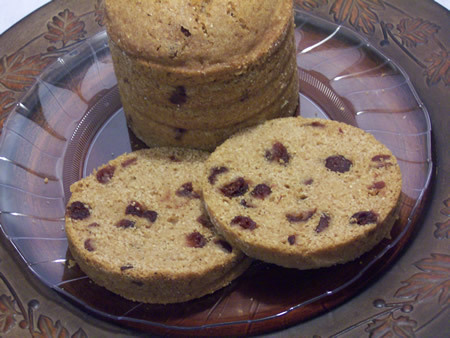 Michelle from The Beauty of Life (Washington, USA) made a gorgeous, irresistible stack of Rosemary Cornmeal Grissini. Seriously. One of the most gorgeous handfuls of anything I've laid on eyes lately. Seriously. Gorgeous. Priya from Priya's Easy N Tasty Recipes (Paris, France) add sun-dried tomatoes and chiles to bring a bit of heat to her yeasted Sun-dried Tomato & Cornmeal Bread. Ana from Anasbageri (Sweden/Portugal) created a delicious and unique loaf of Bread w/ Corn, Carrots, and Orange based on the ingredients in one of her favorite salads. Ingenius! Aparna from My Diverse Kitchen (India) made a beautiful batch of Corn Muffins flecked with red peppers, yellow sweet corn, and the green of chiles and green onions. Perfect pairing for the vegetarian chili she served them with! Gayathri from Gayathri's Cook Spot (India) brought some Mini Corn Flour Rolls that were crisp on the outside and soft on the inside. Love 'em! 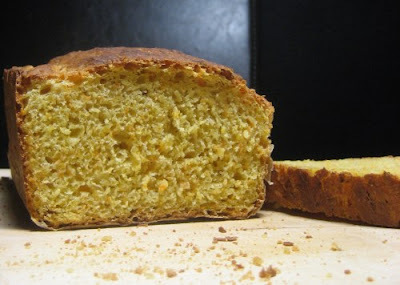 Miss Nirvana from Creating Nirvana (USA) made a moist, flavorful Méture au Potiron Basquais (Basque Pumpkin Bread), a lightly sweet and dense cornbread with the subtle taste of pumpkin. Miss Nirvana from Creating Nirvana (USA) is back with some Jalapeño Cornbread that is pumped full of spice and corn and life! I wouldn't mind receiving a loaf of this chile spiked bread. 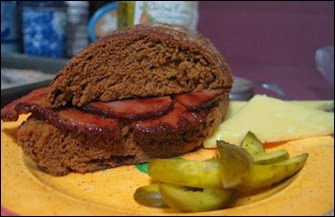 Lutz from Plötzblog (Germany) shares a corn-studded Whole Wheat Sourdough Maisbrot ...that sounds and looks absolutely divine to me! Next up we have Manju from Three Tastes (USA) getting a wonderful start on a New Year's Resolution to bake more bread! Check out these fabulous Anadama Batardettes. I, Heather from girlichef (Indiana, USA), went back into the kitchen and made a big pile of Bolillos (Mexican Crusty Rolls) that I've been meaning to make for quite some time up until now. This particular type contains both masa harina and white cornmeal. And from Taste of Pearl City, Umm Mymoonah shares her soft, quick Corn Meal Bread that she serves up with some of her delicious curries. 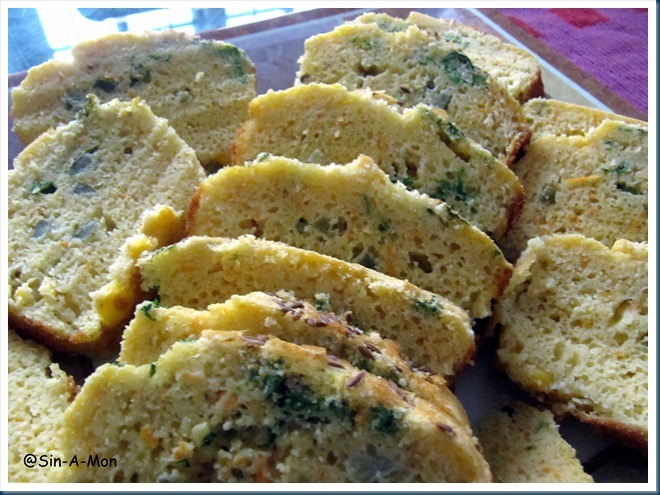 Monika from Sin-A-Mon (India) shares her Yummiest Cornbread which is packed with packed with corn, cilantro, jalapeños, and cilantro. 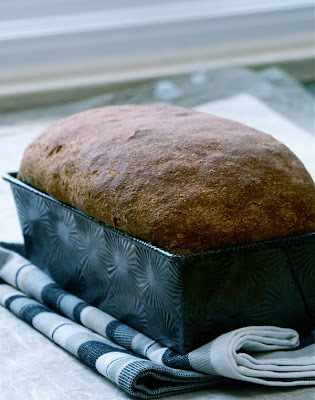 Michelle from The Beauty of Life (Washington, USA) is back and she brought a beautiful, rustic loaf of Whole Wheat Molasses Oat Bread with her...and there's even some cornmeal tucked in there! Brianne from Under the Florida Maples (USA) made some intriguing Cornbread Couscous Muffins that have lovely warming spices and pumpkin seeds in them, as well. Connie from My Discovery of Bread (Thailand) made a beautiful loaf of corn, garlic, chile, and onion studded Sourdough with Corn! Next up is Champa from Versatile Vegetarian Cooking (USA) who made a super tempting loaf of Sweet Corn Raisin Bread says it tastes great slathered with Nutella. I want to find out! Tanvi from Sinfully Spicy (Las Vegas, USA) made some insanely wonderful looking Cornmeal Flatbread (Makki Roti) that I just could NOT resist...especially paired with the beautiful greens that she made. 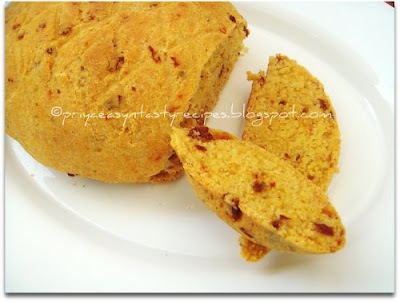 Honeybee from Honeybee Cooks Jackfruit (USA) baked a really fun version of Broa with her Bubble Corn Bread. How fun! My friend Natashya from Living in the Kitchen with Puppies (Canada) put a new twist on those classic Mexican rolls when she made her Bolillo Dough Burger Buns. How did she know I've been craving burgers? Ramona from Create With Joy (USA) brings us a beautiful loaf of Fresh Baked Cornbread. Each bite is studded with corn, reminiscent of the most scrumptious cornbread she'd had years ago at a Mexican restaurant. Creator of Bread Baking Day, Zorra (Andalucia, Spain) from 1x umrühren bitte aka kochtopf created a Corn Snail with the perfect crust and an airy crumb. Beauty. She enjoys it most when toasted. Judy from Judy's Gross Eats (Ventura, CA., USA) brought a beautiful, golden loaf of Sour Cream Corn Bread. Erin from A Tale of One Foodie's Culinary Adventures (Canada) is joining BBD for her first time this month, and she did it up right with this amazing Corn Jalapeño Lava Bread! Next up is Susan from Wild Yeast (USA) and she's celebrating the glory that is corn with these beautiful Golden Corn Rolls. All ye corn haters...feast on this. 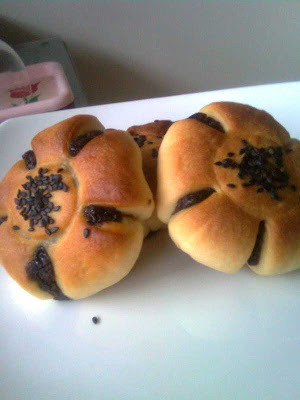 Stuffed with a red bean paste and sprinkled with sesame seeds, these unique Corn Flour Rolls from Treat & Trick are sure please! Mimi from Baking Fix (USA) baked up a sneaky Corny Wheat Bread sure to fool those corn-doubters while not letting down the corn-lovers in the bunch. Also participating in BBD for the first time this month is Peggy from multikulinarisches (Berlin, Germany) with a beautifully rustic loaf of Maisbrot baked on her newly acquired baking stone. Looks great! 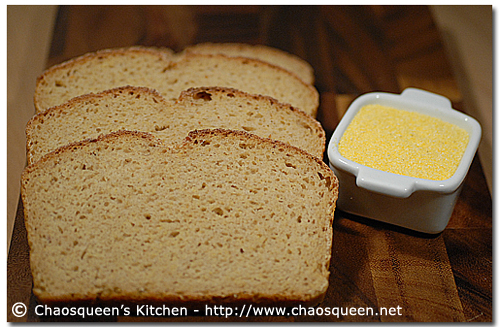 Next up we have the Chaosqueen from Chaosqueen's Kitchen (Germany) who brought a lovely loaf of Corn-Bread for Sandwiches with a thin crust and a soft, moist crumb. Feast your eyes on this stack of tempting Spiced Corn Flour Tortillas from Swathi at Zesty South Indian Kitchen (Texas, USA). 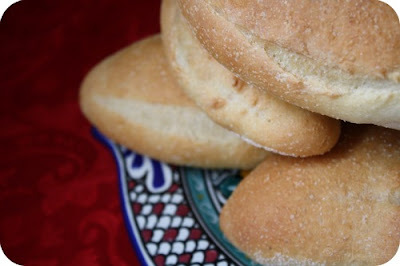 Cathy from Bread Experience (USA) made Togus Steamed Bread...which is a "sweet, rich bread that the colonists adapted from the steamed cornmeal bread of the Algonquian-speaking people." So cool! Cinzia from Cindystar (Lake Garda, Italy) made some beautiful little Mustard and Cheese Biscuits that I just want to scoop up by the handful! They make perfect soup dippers. Lien from Notitie van Lien (The Netherlands) baked a couple of loaves of Pain au Maïs which not only uses cornmeal but also is studded with golden kernels. It goes well with savory or sweet fillings...depending on who you ask ☺. Stop by and check out a few of these amazing bloggers and bakers and corny-bread-makers. Thanks so much to Zorra for having me as a Bread Baking Day hostess. I had a fabulous time! Next month's BBD host will be Champa from Versatile Vegetarian Kitchen...stop by kochtopf soon to find out check out past and future BBD themes . Thanks a lot. I should be in bed, now I will be dreaming in bread. Wow indeed! 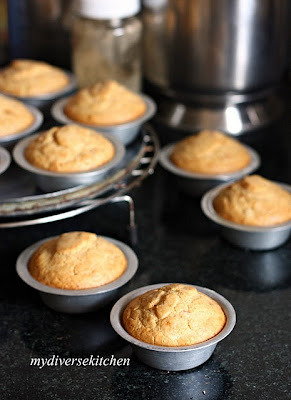 I now want to make some cornbread...and it is almost midnight! These look just delicious, my friend. I hope you are warm and happy on this cold winter night. Sweet dreams and many blessings! Wonderful roundup awesome collection of bread. this whole posts is amazing! I love all the breads out there! Great and wonderful roundup, beautiful breads..
You were a great hostess, thank you for making all our posts and recipes look so interesting. So basically I need to make all of these. Immediately. Carb overload coma...starting NOW. Thank you for picking an unusual but fun theme, and hosting this edition of BBD. Honestly, there's some fantastic bread in this round-up! Lovely collection you have put up Heather. Thanks for hosting this. Wow! Great round-up Heather. So much corniness abounds! I am amazed at the abundance of creativity! Each person is so unique! I love the lava bread and am am so glad to see some one made tortillas! Thanks for rounding this up! Nicely done! What a wonderful, beautiful corny collection! Thank you for a terrific theme and a great roundup. Definitely some things here I will try! Thank you so much, Heather, for hostung such a fabulous challenge - the first I've ever participated in! I've been anticipating the results of this round-up all month and the participants did NOT disappoint! It is so amazing to see the breadth of recipes everyone was inspired to create. I look forward to trying as many of these recipes as I can in the future and in sharing this post with my readers! I am participating in a wonderful event called One World One Heart - stop by when you have a moment for a chance to win something special from me! Wonderful selection of goodies. They all look so very good. And what a wonderful round up it is!! THanks so much Heather. Great round up. 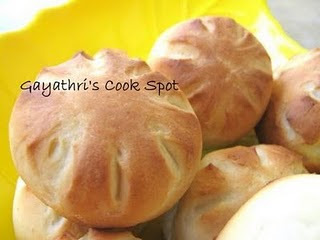 Did not manage to send you a bread on time but so glad with all the great ideas around corn! i'm so mad at myself, we made a cornbread a few days ago and i completely forgot to submit it. next time! this is an amazing roundup! 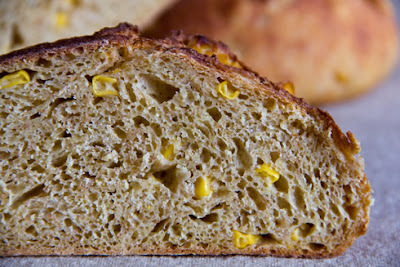 corn is SO good in bread, i have a craving for all of these! Holey, moley Heather - every time I visit I leave here starved for something. 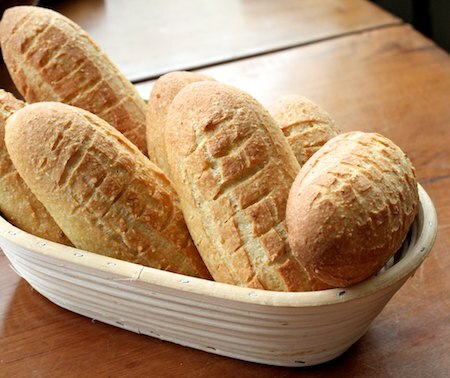 I adore bread - it is my staff of life. And I applaud you and the bloggers who are so talented. Whoa! Where to start?? What an amazing round-up, what gorgeous breads and what an incredible variety! I'm stocking up on corn, I'm telling ya, I've got some serious baking to do! What I am most impressed by (besides the completely fabulous recipes) is the amazing variety I see here. Isn't it wild how you can take one key ingredient and present it in so many different, tasty ways? I have to admit, when I saw "corn" my mind didn't go much further than cornbread and muffins - this stretched my thinking. Wow, all these wonderful corny breads. Thank you Heather you were a great hostess and also a big thank you to all the participants! OMG! There are literally a ton of fun breads to try here. 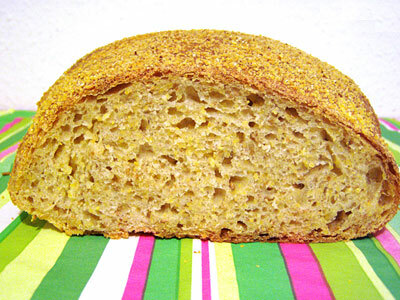 I'm loving the corn bubble bread, the corn flatbreads, the jalapeno lava bread, and so many others. Whew - what a roundup! Goodness I never did think there could be so many option for corn bread. Congrats on a great round up! thank you for this amazing corny round up, so many new ideas to try sometime! thanks again for hosting and happy baking foreveer! Glad I've participated. Thanks for the round up, they are all beautiful. Are you in dubai ? From where can we buy corn bread?